Though the Vietnam War ended more than 40 years ago, the impact is still felt today, especially by the men and women who served there. Soon after Paul Baffico returned from Vietnam in 1971, he dove into a career at Sears, Roebuck and Company that helped put the pain of war behind him. But after retiring in 2001, memories of war returned and he was diagnosed with post-traumatic stress disorder. Part of his own recovery, he says, has involved helping other vets. In 2015, the Lake Bluff resident founded the Lake County Veterans and Family Services Foundation. 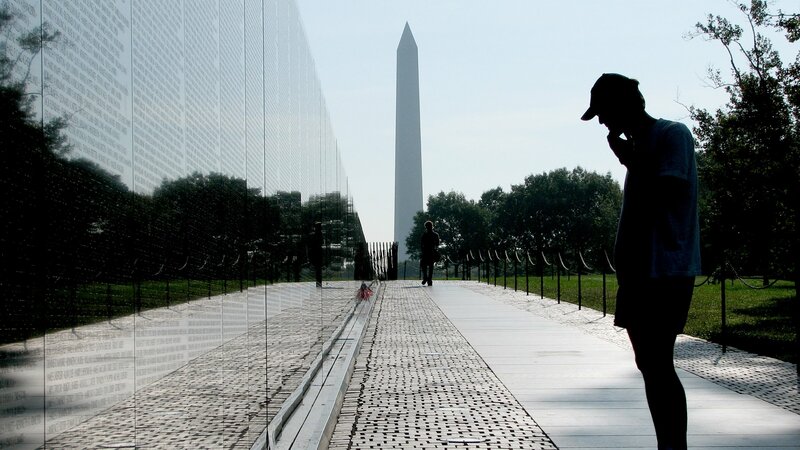 He takes monthly trips to the Vietnam Veterans Memorial in Washington, D.C., where he serves as a docent helping other vets who often find a visit emotionally challenging. Herschel Embry served in the 3rd Marine Division in South Vietnam near the demilitarized zone. Today he is the head of the mental health advisory council at the Edward Hines, Jr. VA Hospital in unincorporated Hines, Illinois. As Ken Burns tackles the Vietnam War in a new 18-hour, 10-part documentary, we’re joined by Baffico and Embry, in addition to Jeanne Douglas, director of the Forest Park Veterans Center. Sept. 18: On Sunday, “The Vietnam War,” a new 10-part documentary from Ken Burns and Lynn Novick, premiered on WTTW. Burns and Novick were in Chicago last week and sat down with “Chicago Tonight” to talk about the epic work. Sept. 14: Propaganda and political cartoons show different perspectives of Vietnam at the Pritzker Military Museum and Library. Sept. 7: Marching through 100 years of military history in the newly expanded First Division Museum at Cantigny Park.